Our Interactive Wall that offers a myriad of features to enhance your research. The Interactive Wall consists of a 110" touchscreen display that allows you to connect your laptops and mobile devices wirelessly to display on the screen alongside being able to view the research going on and any stimuli/discussion guides. Two cameras allow for multi-angle viewing of the research taking place in the conference room. Other features include being able to take notes, browse the web and take screenshots. If your co-workers are not able to attend the wall allows you to email screenshots to whomever you need. 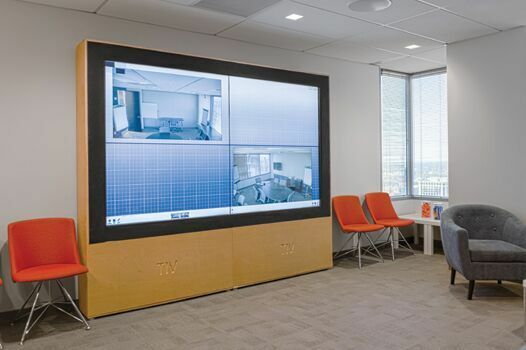 The Interactive Wall is also perfect for providing the best screen to watch web-streaming from studies going on in other locations as a place for co-workers to meet and collaborate.